When you need to get away for the weekend, come to Midland. 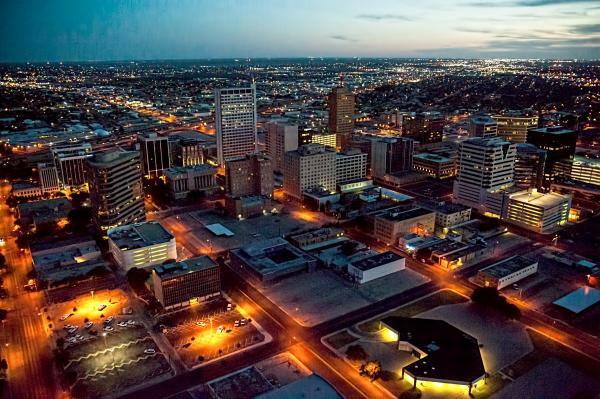 Settled at the midpoint between Fort Worth and El Paso, “The Tall City” is a West Texas oasis with much to discover. 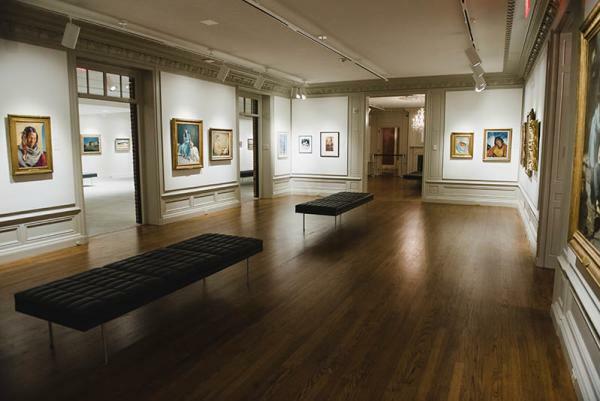 Savor the early morning sun on scenic nature trails, visit art galleries and museums and enjoy a low-key night out with great drinks and live music. Whether you’re looking to take it easy or try something new, Midland has more to offer than what you can fit in just one weekend. Get to know a few of the options below and plan your visit here. From the soaring melodies of a symphony orchestra to the wisecracks of touring comedians, you’ll hear it all at the Wagner Noël Performing Arts Center. 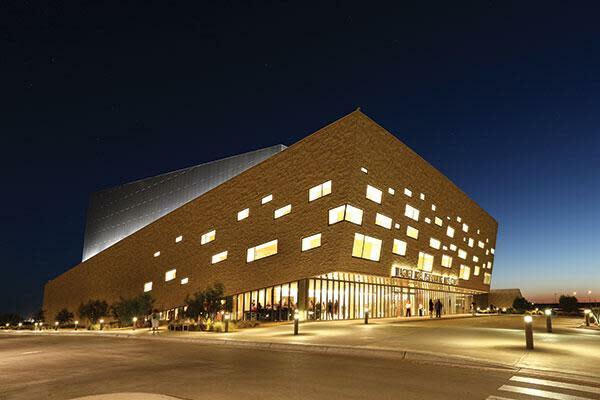 This nearly 2,000-seat, state-of-the-art venue hosts touring bands, Christian artists, the Midland-Odessa Symphony & Chorale and an array of other performers throughout the year. Whether you’re looking for a sophisticated night out or a fun show with your kids, the performing arts center is the place to be. If melodramas and improv are your cup of tea, find your way to the Yucca Theatre in downtown Midland. Take in all the historic charm of this theater built in 1929 and settle in for evenings of hilarity and side-splitting laughter. Coming to Midland in the summer? Get in on the act during Summer Mummers, a turn-of-the-century melodrama that is the longest running of its kind in the country. Each show encourages audience members to be a part of the fun with dances and singalongs, and it all ends with the can-can dancers and the boisterous sounds of the Mummers Band. See a full schedule of performances at the Yucca Theatre here. The laying of railroad tracks may have first brought settlers to Midland in the 19th century, but the events that led to the city’s founding are just one small part of its history. Explore more than 230 million years of West Texas’ past and present at the Permian Basin Petroleum Museum. Check out interactive exhibits that outline the birth and development of the petroleum industry, see vintage autos of the world-famous Chaparral Racing Cars and admire minerals from around the world, as well as a fine collection of Western art. Mouthwatering pecan toffee, decadent Belgian chocolate fudge and pralines that taste like buttery caramel. Hungry yet? 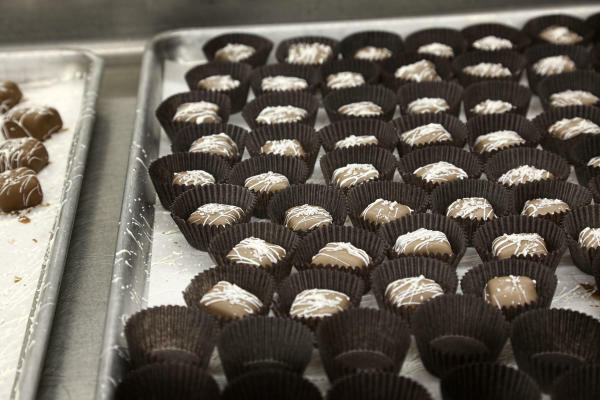 When your sweet tooth needs satisfaction, find your way to Susie’s South Forty Confections. Featured on Food Networks’ Unwrapped for its Texas Trash (a blend of cereals, pretzels and pecans covered in creamy white chocolate), the candy shop is also the world record holder for the world’s largest piece of toffee. The actual candy is long gone (it was made in 2002), but you can still see the mold hanging on the wall. Imagine just how much toffee would have filled it, then order a few pieces for yourself. Want to try a little bit of everything? Take one of the sampler baskets home with you. Just try not to eat it all on the drive home. The Battle of the Alamo is Texas legend, and you can see a piece of this chapter of our state’s history in Midland. 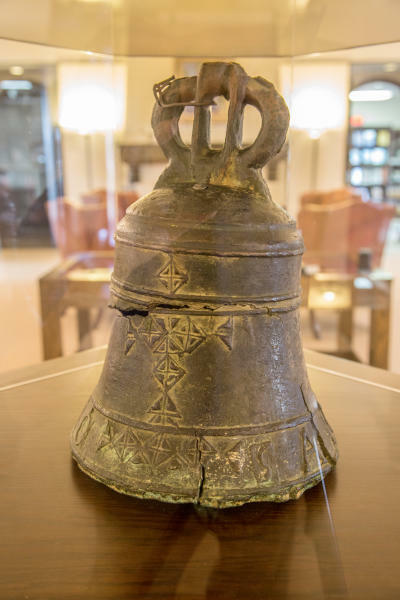 Cast in 1722, the first bell that ever hung at the Alamo is one of the many historical items on display at the Haley Library & History Center. Hear the tales of the southwest as you marvel at exhibits of bronze sculptures, vintage saddles, paintings, books and artifacts from Charles Goodnight and the American Cowboy. Admission to the history center is free but it’s only open Monday through Friday, so plan a three-day weekend to make sure you can visit. Wander on weaving trails though arid grasslands and revel in the warmth of the sun and the feeling of isolation, all without ever leaving Midland. Enjoy your own escape to nature at the Sibley Nature Center and the I-20 Wildlife Preserve & Jenna Welch Nature Study Center. 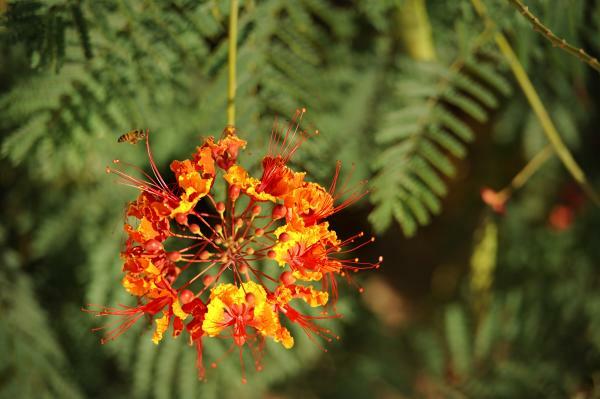 The 1.5 miles of looping pathways at the Sibley Nature Center take you through the many environments of the Llano Estacado inhabited by a wide range of wildlife, including butterflies, ducks, herons and pronghorns. Meanwhile, The I-20 Wildlife Preserve is home to an 86-acre playa lake, a type of wetland found only in the southern High Plains. This playa is one of the few urban playas left in its native state, allowing for plenty of birding and wildlife watching. Make sure to stop by the Butterfly Garden & Meadow, where carefully selected flowering plants and native grasses attract a breathtaking array of butterflies. Both spots have classes, guided hikes and other events that will help you get the most out of your visit, so make sure to check each nature center’s website before you come to Midland. Any good weekend getaway involves tasting the local nightlife, and Midland has the kinds of hangouts you’ll want to stay at for a while. If you’re a craft beer enthusiast, the Midland Beer Garden is for you. With the largest selection of beer, cider and wine in town (including 74 brews on tap), you’ll be spoiled for choice. Try a new brew on the peaceful outdoor patio surrounded by flowers and plants, a low-key setting for an easygoing night out. For cocktails and cigars, look to The Buffalo Nickel by Cibolo Creek. Step into the humidor and smoke your cigar on the covered patio, then pop back inside to hear talented local musicians do their thing. No night out is complete without some amazing food, and Midland’s menu is long. Follow the aromas of baked lasagna and veal parmigiana to Luigi’s Italian Restaurant, or dig into delicious Latin American steak and seafood dishes at Cancun Bar & Grill. Eat at either restaurant and you’ll be in the heart of the downtown area, so eat up and continue your night out on the town. Back in the early 1950s, a 1,400-square-foot house on West Ohio Avenue was home to several future governors and presidents. Get to know some of Midland’s most famous residents at The George W. Bush Childhood Home. Stepping through the front door is like stepping back into the 43rd President’s childhood, as the house has been largely unchanged since 1956. 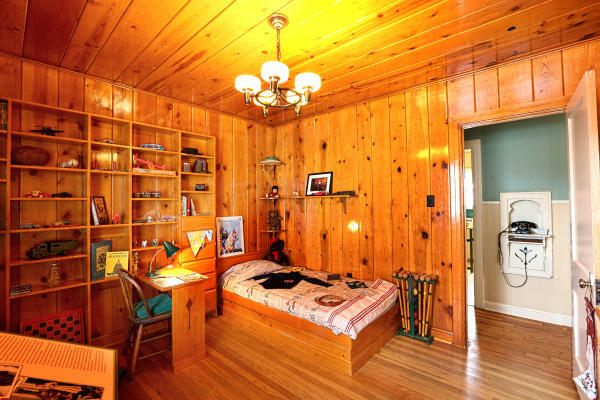 Each room is furnished with décor from the era, reflecting not only Bush’s family history but what Midland was like at the time. The home is open throughout the year, and as one of “The Tall City’s” top attractions, it’s not to be missed. Spend some time outdoors, immerse yourself in some West Texas culture and history and enjoy a night out on the town. With so many different things to see and do, you can have your own kind of weekend getaway in Midland. Plan your visit here.